Whether you need a professional to diagnose your septic system problems or you are in need of residential system repair, Stamie Lyttle can help. 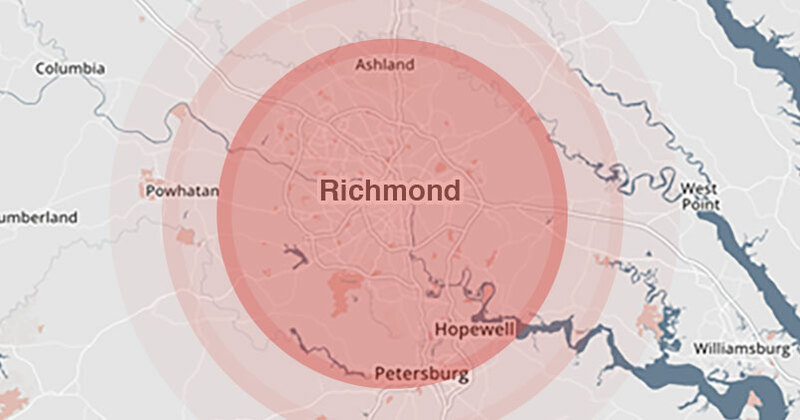 With over 65 years in the business, we’ve helped homeowners throughout the Richmond area with their septics. We are skilled at system repair and replacement and have licensed designers on staff for the more complicated situations. Give us a call at 804.232.6774 to discuss your septic needs. The conventionally designed drainfield is comprised of beds or trenches lined with coarse gravel or a synthetic material. Each trench is installed in the best soil horizon selected by the designer and approved by the local health inspector. Perforated drain pipes distribute the wastewater from the distribution box over the gravel layer to be absorbed by the soil. The gravel layer helps support the drain field, stores wastewater during peak flow, separates the pipes from the soil, and distributes the effluent evenly over the soil. This type of dispersal system is the least expensive, but requires the most amount of suitable soil. Drip dispersal consists of small diameter drip tubing shallow-placed in loops across the landscape. Evenly-spaced emitters within the tubing allow the effluent to “drip” into the soil at a controlled rate. Drip dispersal allows for a more even distribution of effluent across the drainfield area. Sometimes the drip tubing can be installed around trees, plants and shrubs, even those on uneven terrain. Have septic tanks, boxes and the drainfield system evaluated regularly; pump and clean all tanks and distribution boxes once every 3-5 years. Pump grease traps for garbage disposals every 1-3 years. Make sure you use water saving fixtures and try to conserve water. Make sure all faucets and fixtures are in working order and not leaking. It is a good idea to keep a record of the septic tanks, distribution boxes and drainfield design layout and of your cleaning schedule. Make sure to consult your local health department before installing home additions, swimming pools, decks, patios, parking lots or other soil-disturbing additions. Do not use excessive amount of water in short periods of time (for example: don’t save all of your laundry for one day; instead do one or two loads daily). Do not place bark, saw dust, or plastic mulch over drainfield systems. Do not place lawn irrigation systems on or near drainfields. Do not park, place structures, cut and fill, or otherwise abuse the drainfield or the reserve drainfield or any area within 25 feet of the drainfield. Do not destroy old drainfields after a repair. They will become serviceable after 5-8 years. Do not discharge wastewater from water treatment equipment or swimming pools into a septic system. Sodium from this process causes soil to lose structure, which is essential for good percolation. Failure of the system will result from improper discharge from these systems. Do not dispose of grease, coffee grounds, household or automotive chemicals, insecticides, herbicides, petroleum products, sanitary napkins or tampons, disposable diapers or plastic or synthetic rubber products in a drainfield system. Septic systems are not designed to decompose these materials. Do not use excessive amounts of drain cleaner, plumber’s helper, yeast, bacteria, enzymes, etc. These materials are not conducive to the natural organic process and, in our opinion, are a waste of money. Cars, trucks, tractors or other heavy equipment should never be driven or parked over the septic tank or drainfield. Doing so can cause your septic tank to cave in and your drainfield to collapse, rendering it useless and causing you to need septic tank and drainfield replacement. Any water loving tree or plant such as a weeping willow, maple, locust, sycamore, cottonwood, tree of haven or bamboo should be removed if within 50 feet of your drainfield lines. Plants such as these have an affinity for water and can enter distribution lines, boxes and drainfield trenches, which can cause clogging and failure of the septic system. You should not plant vegetable gardens near a drainfield either. Common sense dictates that the production of home gardens and sewage disposal are not compatible practices. The best use of your drainfield is to maintain it as a grassy lawn area. A non-edible flower garden can be planted, but you cannot use mulch. Some trees and bushes can also be planted near the drainfield area. Contact your local nursery on advice for the best grass and plants to grow. We recommend that homes with indoor hot tubs, Jacuzzi tubs or large jetted bath tubs have a separate absorption system or dedicated septic tank for the disposal of this water. The sudden release of 40-100 gallons of water into the primary septic tank will cause suspension of sediment within the tank. Solids suspended in the liquid in the tank will subsequently flow into the drainfield system and can lead to premature failure of the system requiring drainfield repair or replacement. In many homes, the washing machine either has its own septic tank or an entirely separate system altogether. Because the washing machine discharges a large amount of water at once, the system will experience short periods of its highest capacity. Another consideration is that new, low-water usage washers will actually discharge water at a higher velocity than older washers. This accentuates the high-capacity issue, sometimes causing an older system to back up into low fixtures such as bathtubs and wash-sinks. While the backup is normally a sign that the system needs to be checked or tank cleaned, it could also mean that the washer is discharging more water at once than your septic system was designed to handle. If you would like to install a garbage disposal, the kitchen plumbing should be plumbed to a separate outlet and a 1250 or 1500 gallon septic tank/grease trap installed to receive only kitchen effluent. Liquid from this tank can flow to the primary drainfield or to a separate drainfield. This new septic tank, also known as a grease trap, should be pumped to remove grease and solids once every one-to-three years. We do not recommend that kitchen garbage disposal units be installed with conventional septic drainfield systems which do not have dedicated septic tank/grease trap. It is the responsibility of the builder, developer, utility contractor, sub-contractor, realtor, and the homeowner to be sure that cable routes for buried utilities (e.g., electrical, natural gas, water, telephone, cable TV) do not cross the drainfield/reserve drainfield. When someone digs a trench or disturbs your drainfield it can cause the water to move opposite of your drainfield. By loosening and disturbing the dirt you have the potential for water to rise to the surface and puddle instead of seeping in the ground. Contractors and sub-contractors must be made aware of any drainfield problems and held responsible for staying clear of designated drainfield zones. Detailed site plans are recommended for their use. Septic tank drainfield systems are designed to percolate water into the soil system and evaporation is principal part of the removal of water from that system. Mulches are designed to prevent evaporation and hold water in the soil. The use of mulch over drainfields often contributes to premature failure of the system causing you to need drainfield restoration. Spray irrigation systems should not be installed over or near the drainfield and reserve drainfield sites. Septic tank drainfield systems are designed for percolation of water into the soil system. The design takes into consideration annual rainfall but does not allow for irrigation. Spray irrigation systems may lead to failure of the drainfield system because of additional water being placed in the drainfield area and improper design and installation of piping system. Give us a call at 804.232.6774 to find out more about our septic tank drainfield repair and restoration services. Our helpful, responsive staff is available Monday-Friday, 8am to 4:30pm. For after-hours Emergency help, please call 804.641.5942.